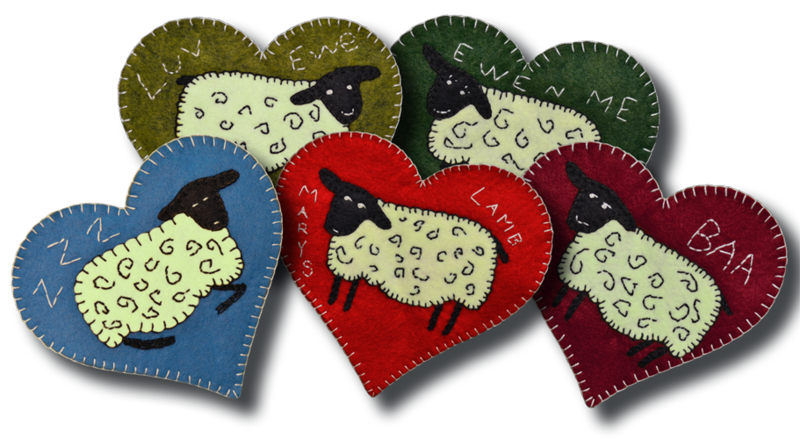 Five endearing sheep would like to come live at your house. They are a fun loving flock that doesn't require tending, but will bring much delight to all who see them. 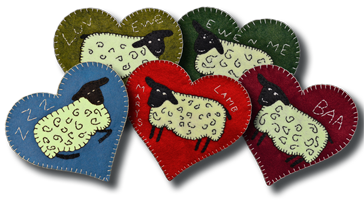 They can be stitched to the ribbon included with the kit and hung on a wall, mantle, or anywhere else in your home that needs a wooly decoration. This kit makes a garland over four feet long with five 6″ heart ornaments.